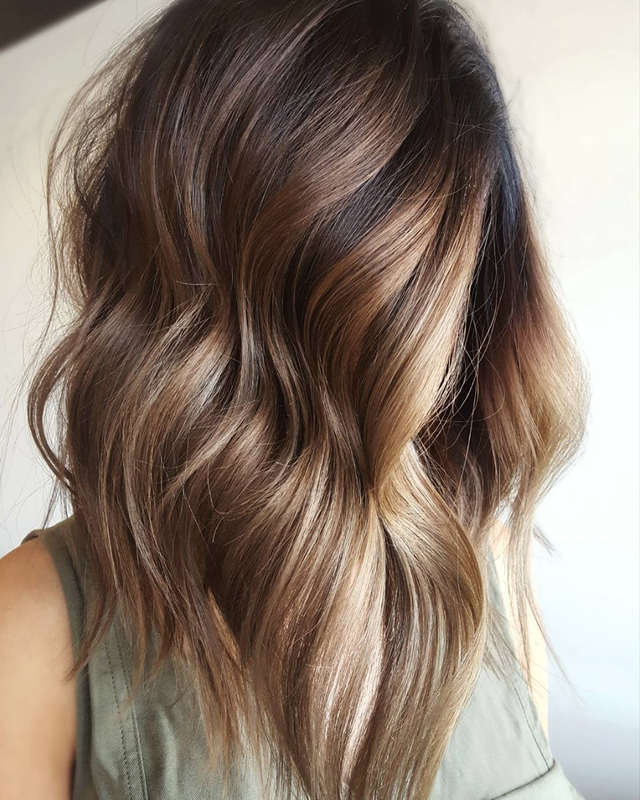 We’re bringing lots of balayage tips, tricks and techniques when we take over Austin, Texas for our COLOR, Cut & Style show Aug. 20-22! Get your tickets NOW! That rich brunette hue. That subtle touch of honey blonde. That beautifully blended dimension. We love everything about this look from Mika Rogerson (@mikaatbhc), the 2017 Hair Paint of the Year winner at the #ONESHOT Hair Awards. Check out this #ONESHOT-nominated dimensional, ombré blend from Ashley Lewis (@the_blondologist). Ashley used Wella to lighten her client's locks, then toned with Eufora color. Here's how she did it.